In my career, I have worked for both a national firm and a local shop, as have most of the principals at AQUILA. So we have first hand knowledge of the differences in approach, and where the advantages and disadvantages truly lie in what we are able to provide to our clients. As a local, Austin-based commercial real estate firm ourselves, we are obviously a little biased. But we wanted to approach the question honestly and try to give as objective of an answer as possible. One common misconception is that by choosing between a national company and a local firm you are also choosing a big firm versus a small one. Due to the fact that real estate is so local, there are often large local or regional commercial real estate firms in most of the major real estate markets. While national firms often do have large offices, not every national brand is strong or has a large office in every single city. Sometimes local/regional firms may be larger and have more team members than the national brands. 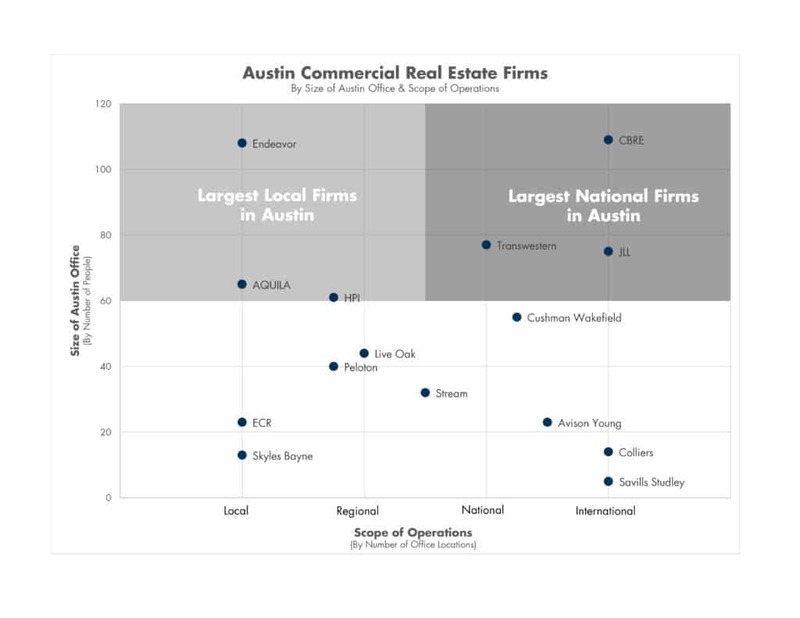 Here is a graphical depiction of the major Austin commercial real estate firms charted out by size of the firm’s Austin office as measured by local headcount and it’s scope of operations as defined by how many offices they have locally, regionally, nationally and internationally. That said, size isn’t always the best indication of how strong a commercial real estate company is in a specific market. Hiring a national firm is usually seen as a safe bet. As they say, “No one ever got fired for buying IBM.” Most people think that since it’s a brand name it must be safe. But real estate is a highly individualized and local business, and a national firm that might have a strong brand in one market might be just a small player in another. 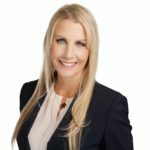 For that reason, you should always ask questions before hiring a firm to determine the reputation and resources available to you within the market area you are considering. One of the key benefits to hiring a national firm is their network of national offices. If you are a company who needs real estate in multiple markets, national firms can provide near instant access to the firm’s team in any market. These firms’ national networks can also be beneficial when you need a national rolodex. This can prove useful on things like investment sales listings and sources of equity. 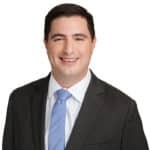 Most national firms have access to robust databases of investors across the United States that can get your property in front of a wide array of potential buyers. Most national firms have invested in providing their brokers, property managers and clients with market research. They often have research platforms dedicated to identifying trends and using data to provide macromarket insights. Some national firms also have local research teams as well, which can provide more microeconomic information. With executives sitting just an office away, local/regional firms are able to be nimbler than national firms, pivoting more quickly to respond when needed. One example is staffing. Local firms can usually hire quickly and ramp up for taking on new projects more quickly than a big firm that can be bogged down by red tape and HR processes. Having local staff in the market can be a big benefit for both corporate clients and real estate owners. From an owner’s perspective, this means having local staff on your property management team. National firms often have their accounting teams centralized into one location, meaning they might not be in the market your assets are in. Having a local accounting team means property managers have more direct access and communication with them. When these people work in the same office or area, it means questions get answered faster and issues get resolved quicker and more efficiently. This face-to-face relationship fosters a spirit of collaboration and sense of ownership. Also, having a marketing team that is local to a property can also be an advantage when it comes to leasing. For owners, having someone crafting your marketing materials that knows the market and lives and works in it means they will highlight the most relevant and important features, including surrounding amenities. With a national firm, you will often find that the marketing team is located at the national office and doesn’t have the same grasp of the local market. From a tenants perspectives, this local marketing can come in handy should you need to sublease your space. Firms that are focused on a specific market are generally more tied in to what makes that market tick. Their roots and experience in the community give them a solid understanding of the full real estate landscape and all the things that influence real estate dynamics and decision makers. When you are looking for or leasing space, you may need access to market information such as lease comparables. A robust set of comps in Denver won’t help you if you’re doing a deal in Austin. 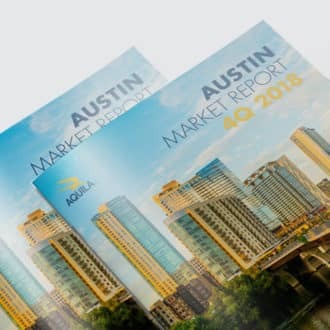 Download Now: Take an in-depth look at the Austin office market in our free 70+ page report. A less obvious advantage to working with a local commercial real estate firm is that your broker will be able to provide you more attention. Something you may not think about is that after a broker makes their standard commission on a lease, they then have to share that commission with their company (referred to in the industry as a “split with the house”). In most cases, a national firm will take a bigger cut for the house due to larger overhead costs. So, when comparing the deals on an apples-to-apples basis, a broker from a national firm will typically make less money than a broker from a local firm. To this end, a broker at a national firm must work on more deals to make the same amount of money. More clients in the market and deals in the works at one time, results in less attention on your deal. While national shops are able to differentiate themselves by offering access to a national network of offices, local shops have the advantage of being more flexible. If you work with a local firm you are not bound to work with the “company guy” in every market, even if the company is not very strong there. 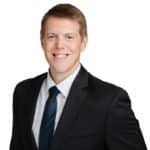 Many local firms have strategic partnerships or relationships through networks such as SIOR and CCIM, which can provide high quality brokers in other markets if you require them. 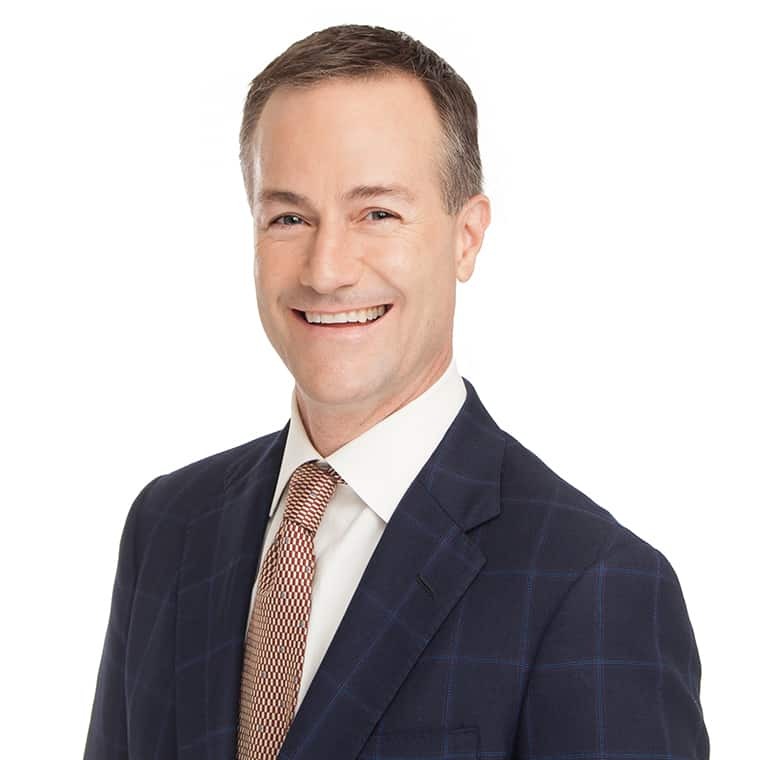 Chris is one of AQUILA’s founding principals and a recognized leader in the Austin commercial real estate industry.